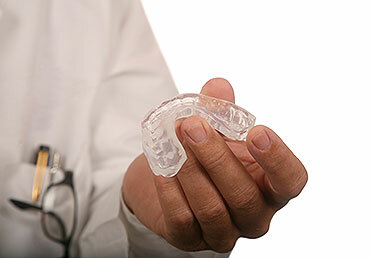 This is a hard plastic mouthguard to protect the teeth from clenching and grinding. This is often used for patients who experience TMJ symptoms. These devices are designed to help patients sleep more comfortably at night by creating a wider airway for breathing easier. These are a softer plastic guard for use in many situations. Located in Mansfield, we work with patients from all of the nearby communities in Ohio, including Crestline, Galion, Shelby, Lexington, Lucas, Ontario, Ashland, and more. Call our office at 419.524.7409 today to schedule your appointment or learn more about how we can help with snore guards, mouthguards and bite plates.